From the earliest pioneers to the famous Spindletop oil boom that put the state of Texas on the map for oil. Beaumont, Texas is where history is made. Discover the innovation and heritage at the museums and historic sites throughout the city. Whether you’re looking to experience life how it was in the past or venture off the beaten path, here are the top spots to discover the enchanting history in Beaumont. January 10, 1901, was the date that changed it all for the city of Beaumont. A lumber town with a hope for more, the discovery of oil changed the trajectory of commerce in Southeast Texas, igniting the modern petroleum industry. The Lucas Gusher, named after Captain Anthony Lucas, struck at Spindletop Hill, shooting at more than 100 feet high at 100,000 barrels a day for nine days straight. Unaware of the profound abundance of oil at the hill, the sight was a spectacle to see, bringing an influx of individuals to the area. Gladys City was quickly built up to support those moving to Beaumont, shifting the population from 9,000 to 40,000. Birthing the powerhouse companies Texaco and Exxon, Spindletop is a vital part of history. Today, you can get a glimpse of what life was like during the early 1900s oil boom at the Spindletop Gladys City Boomtown Museum, a replica of the early 1900s town, located on the campus of Lamar University. View the replica gusher that blows water at the same height as the original Lucas Gusher in 1901. Walk through the museums’ 15 buildings with a self-guided tour where you can see a general store, post office, saloon and more. All towns started with pioneers, those who settled the town and made it home. One of those families in Beaumont was the French family. John Jay French, a tanner and merchant, is one of Beaumont’s best-known residents. His family’ home, built in 1845, is one of the oldest surviving homes in Beaumont and was one of the first two-story homes in the area, one of the first painted homes and one of the first to be built with milled wood. He operated the first tannery in the area, milled corn, sugar cane and rice, smoked meat in his smokehouse and had a wine house where he sold whisky. The French family left a lasting mark on the community and can be explored through their home. The Greek Revival-style home of the John Jay French family has been restored to its original state and is filled with antique furniture, clothes and household items from the mid-1800s. Outbuildings include a tannery, blacksmith shop and smokehouse, available to explore. The museum hosts events throughout the year, including a pumpkin walk for Halloween, a Christmas candlelight tour and an Easter egg hunt, giving the public a chance to see the home and get a look into the life of the pioneer family. The discovery of oil came great riches for some Beaumont residents, but none are quite as striking as the McFaddin family. W.P.H. McFaddin, already wealthy from ranching, rice farming and trapping, multiplied his families’ wealth due to ownership of the Spindletop land. Along with his wife, Ida, and their three children , W.P.H switched homes with his sister, Di, and acquired the opulent McFaddin-Ward home. Built in 1906 by architect Henry Conrad Mauer, the home served as lavish backdrop to the upper class of Beaumont, Texas. Moving into he home with her husband, Mamie McFaddin-Ward lived in the home with her parents. Documenting the families’ life throughout the years, Mamie kept a diary of consumer habits, events and routines. The family held onto photographs, receipts and invoices to truly show how the family lived. 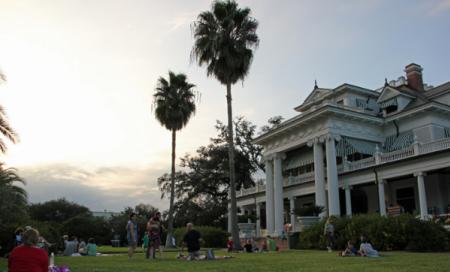 The McFaddin-Ward House, is one of the last remaining grand scale Beaux Arts Colonial-style homes in the area. The home is grand with almost 13,000 square feet, three floors, seven bedrooms, two dining rooms, a library, music room and large porch. 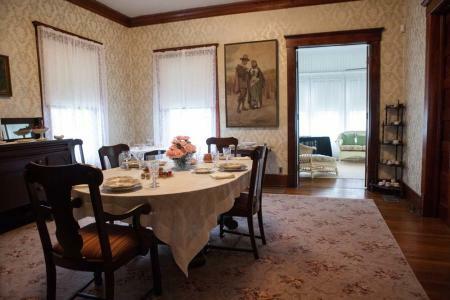 The house has been fully restored and decorated with furnishings and items from the original home. The McFaddin’s owned china in more than 30 patterns as well as pieces made from Mrs. McFaddin and daughter Mamie. The china was, and still, rotated for different events and holidays throughout the years. A horse stable and lush grounds planted with azaleas and a variety of roses adorn the grounds of the home. Docents share family anecdotes and local history during guided tours of the house. Visits to the carriage house and grounds are self-guided, where you can tour the rooms of the McFaddin’s staff, horse stables and family cars. Down the road from the McFaddin-Ward House stands the Chambers House Museum, also built in 1906. The home was designed to reflect both Beaux-Arts Colonial and Southern Greek Revival styles of architecture. Home to the Chambers family, C. Homer and Edith Fuller Chambers, along with their daughters Ruth and Florence, the family moved into the home in 1914. Both Ruth and Florence went to college, came home to Beaumont and lived in the home—never marrying. Living in the house for the rest of their lives, the sisters watched Calder Avenue, also known as “Millionaire’s Row,” change throughout the years. After Florence’s death in 2004, the home was entrusted to the Beaumont Heritage Society, who found that little, if anything had changed since the 1924 remodel, due to the Chambers family rarely buying anything new or giving anything away as well as the very little upkeep done by the sisters. Stepping inside the home is like seeing a snapshot of history; you’ll get a true sense of a day in the life of an upper-middle-class family in Beaumont. Along with original furniture, you’ll find everyday items like a checkbook, sewing box, Mr. Chambers’ pipes, and Florence’s paint set and mugs. Military and civilian heroes past, present and future are honored at the Clifton Steamboat Museum. This hidden treasure is filled with exhibits and memorabilia from wars fought in Southeast Texas and Louisiana, along with World Wars I and II, the Korean War and the Vietnam War. Boy Scouts take note: The museum has a special wing dedicated to the Scouts, with keepsakes and gear that are more than 50 years old. Other galleries inside the museum feature frontier paintings, bronze sculptures and artwork from Native Americans. You can’t miss Hercules, the 1938 tugboat stationed outside the museum that is one of the many Instagram-worthy sights in Beaumont. Transferred to the museum by the owners grandfather, the story of Hercules is enough to visit! As the saying goes, everything is bigger in Texas. And that’s true right here in Beaumont, Texas. Find the original World’s Largest Fire Hydrant standing at 24 feet tall, stationed in front of the Fire Museum of Texas. Dalmatian spotted, the hydrant was donated by Walt Disney Company due to the re-release of the 101 Dalmatians animated movie in 1999. The spots are copyrighted by Walt Disney and cannot be changed. 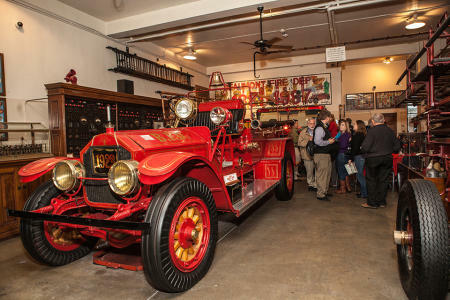 The Fire Museum of Texas is dedicated to the preservation and education of firefighting history and fire safety located in the historic Central Fire Headquarters Station in downtown Beaumont. Recognized as a Texas Historic Landmark, the fire station was built in 1927 in the Renaissance Revival architecture style. Inside, you will see firefighting equipment dating to the mid-1800s, including the 1856 Howe Hand Drawn Pumper and the 1909 aerial ladder truck. Also, the 1930s light truck that was used in the New London school explosion that Walter Cronkite reported from. Children will enjoy getting to dress up as firefighters and sit at the wheel of a real fire engine. You can also take your family to the two-story miniature house on the second floor where you can practice fire safety plans. 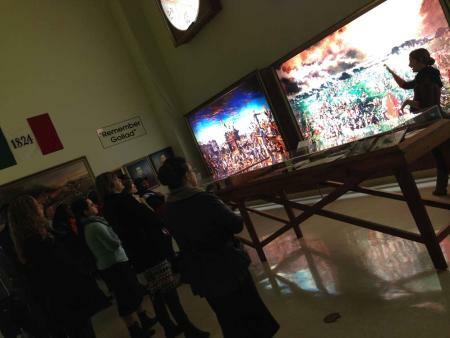 The Fire Museum of Texas is free to explore for the whole family! 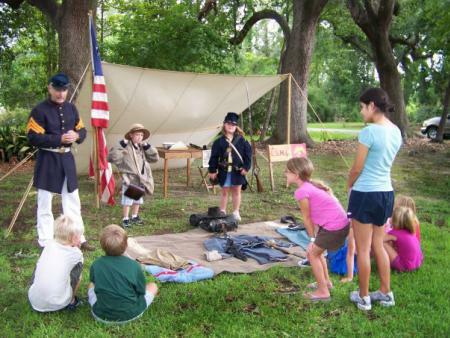 Click here to see more historic sites and museums in Beaumont.